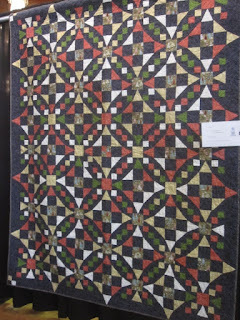 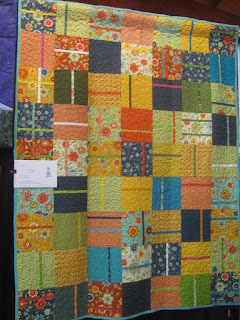 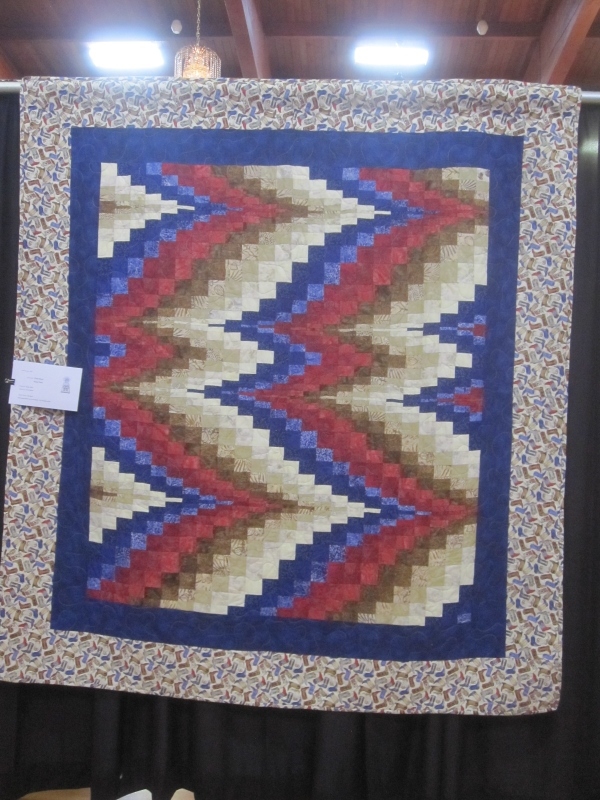 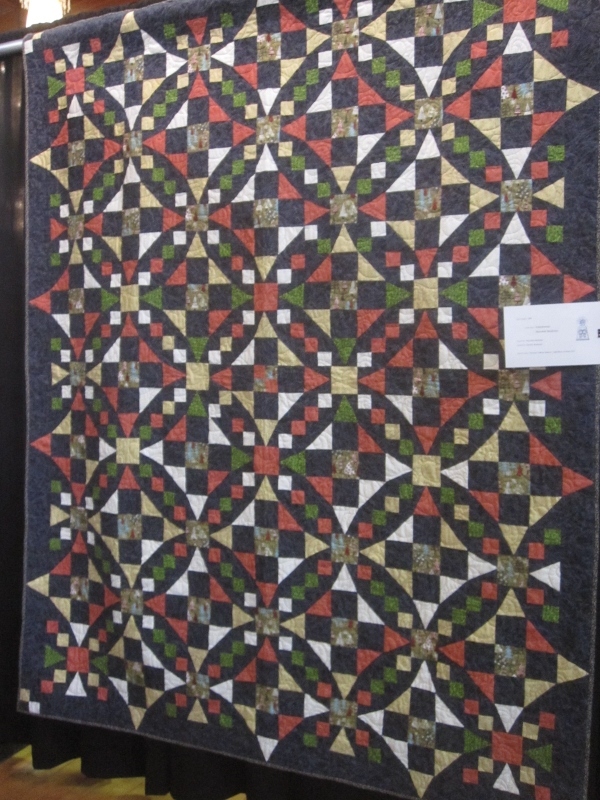 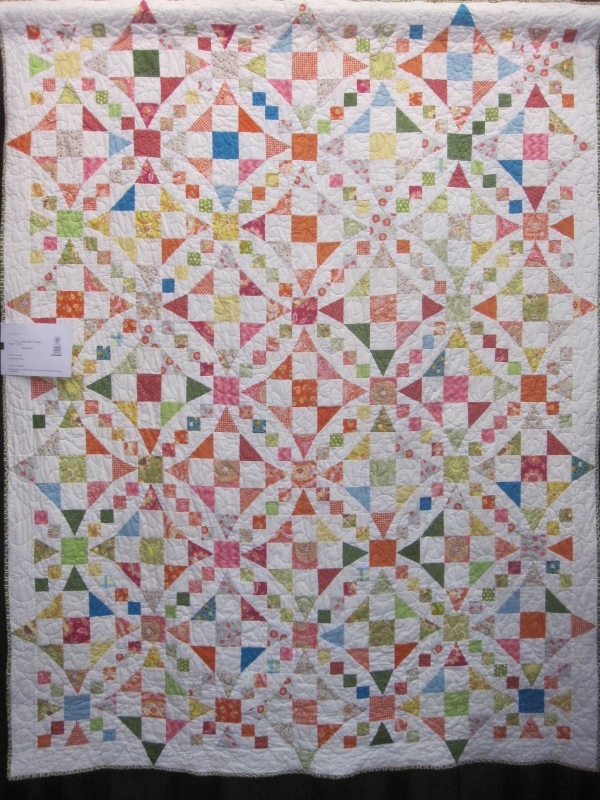 The Durham Trillium Quilt Guild held their show on October 28th and 29th. 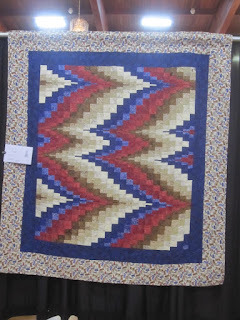 Judy and I met in the parking lot and surprisingly spent two hours viewing the quilts, checking out what the vendors had (I was looking for charm squares and Judy was looking for a gift for a guild Christmas gift) and looking through the guild members booth (something we don't normally do.) I found a package of Miss Scarlett charm squares and some yellow scraps and Judy found a Christmas wreath kit along with several patterns at the members booth. I didn't need anything but the charm squares are going to be put to use in a Christmas wall quilt. 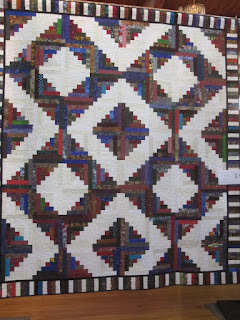 The venue was not great for lighting and a tight squeeze for taking good photos of the bigger quilts. 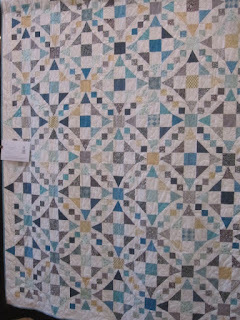 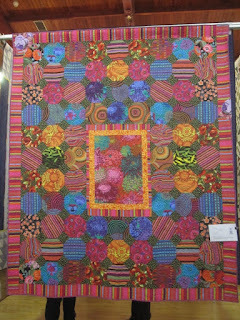 My apologies for some of the photos which don't show all of the quilt and for some of the blurry ones. 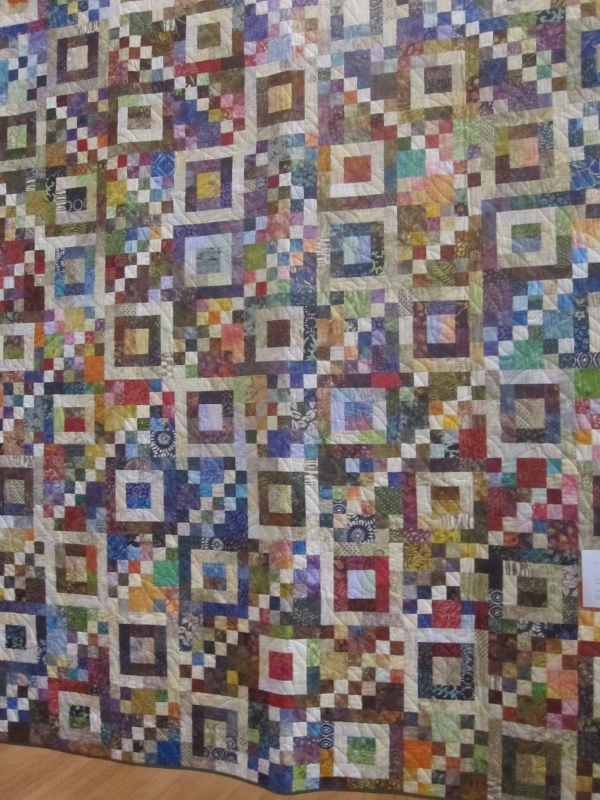 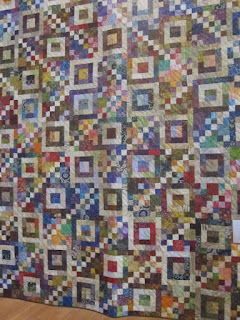 Since the blurb photos for all of the quilts turned out blurry, (blame operator error and perhaps, a wrong setting) I will not be adding those photos. If you want more information, email me and I shall try to find out the name of the pattern if it is given or whatever information was on the blurb tag. 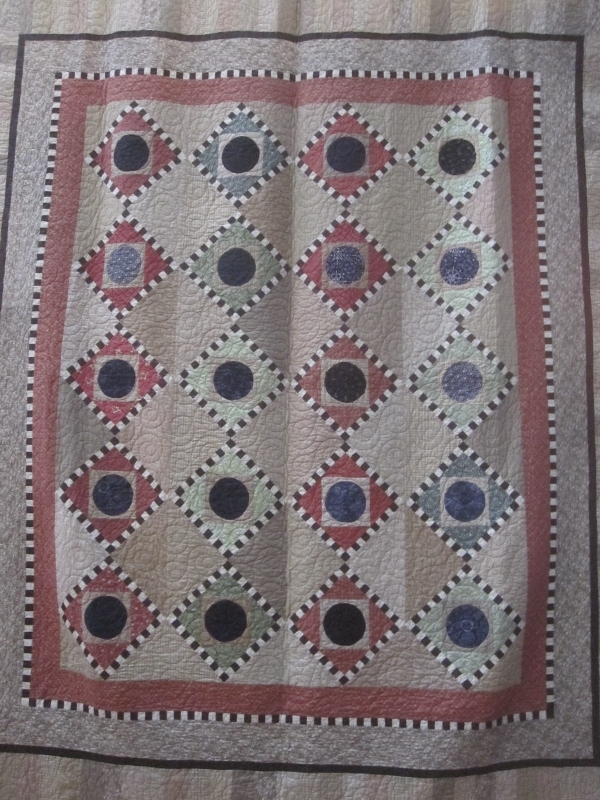 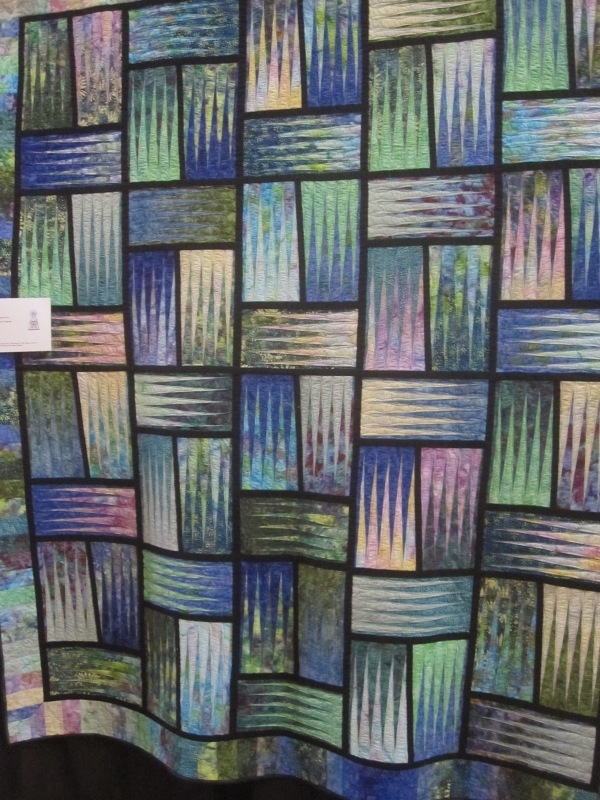 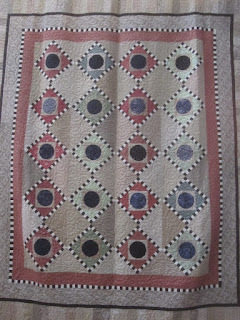 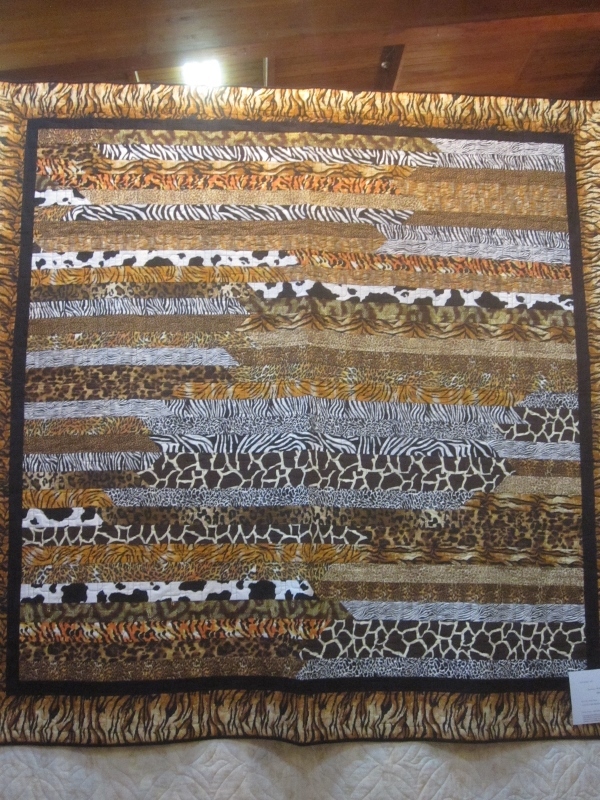 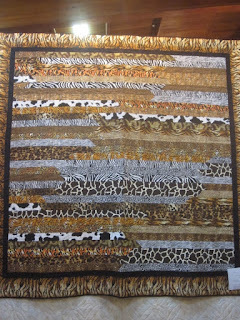 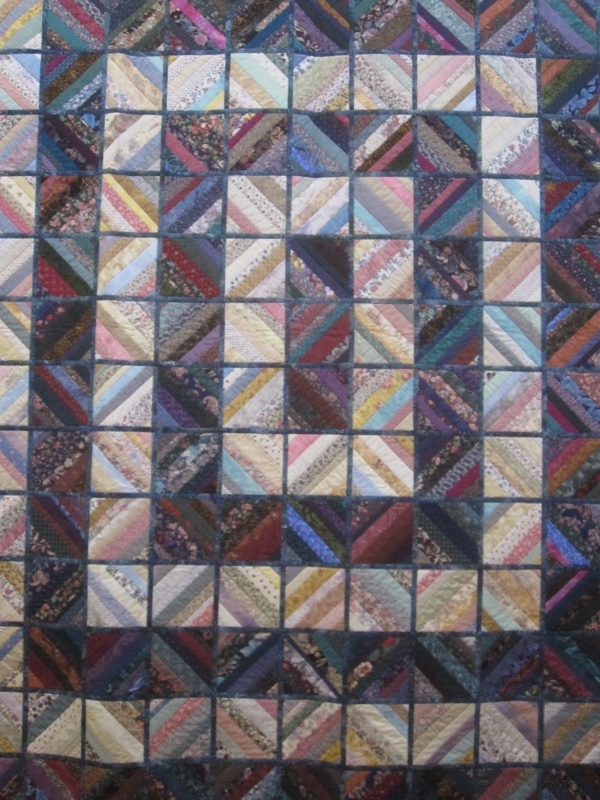 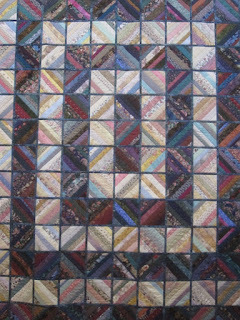 This was a guild mystery quilt so you will be seeing more quilts with this same pattern but in different colours. 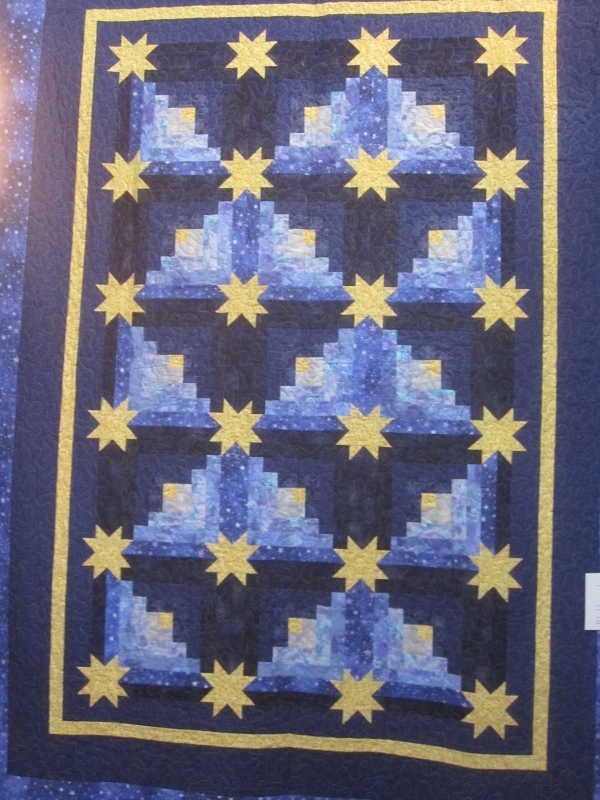 As you can see, the lights above the quilt hindered some of my photo taking. 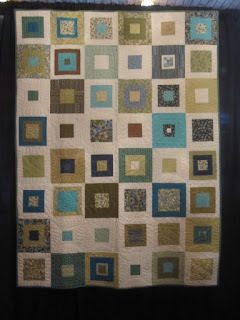 I tried moving to a better position but it didn't always work. 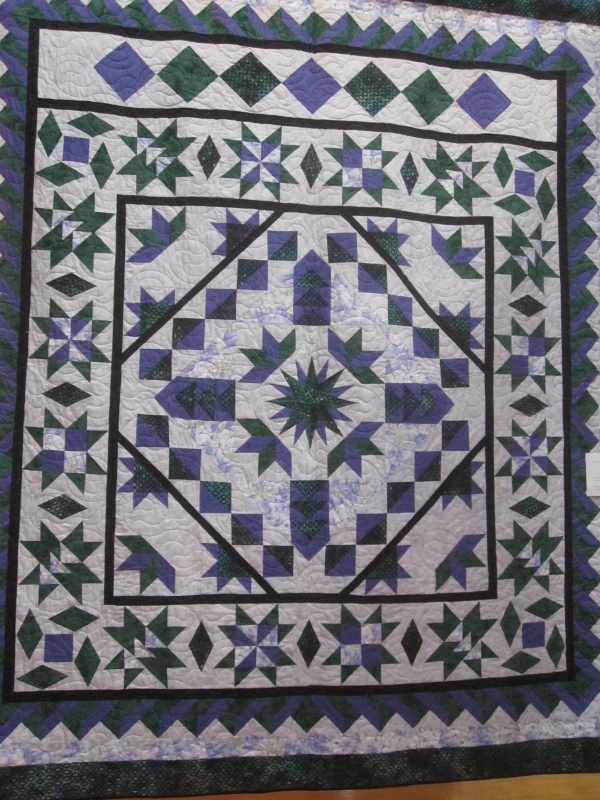 This was a pattern from Piecemakers quilt calendar in 2002. 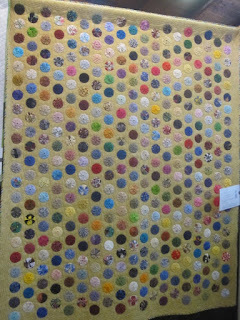 You can click on the photo a couple of times to see a bigger version. 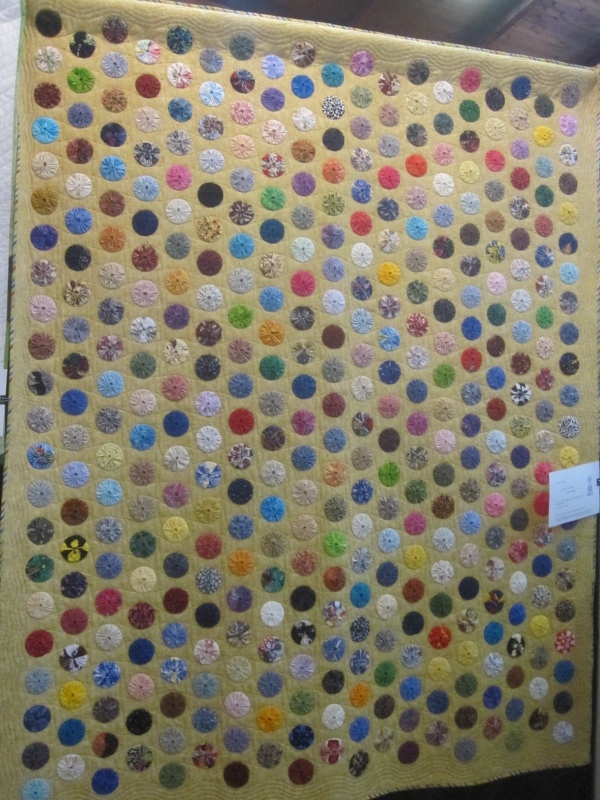 You can also google it and see lots of the same. I'm a tree person so this was a joy to view. 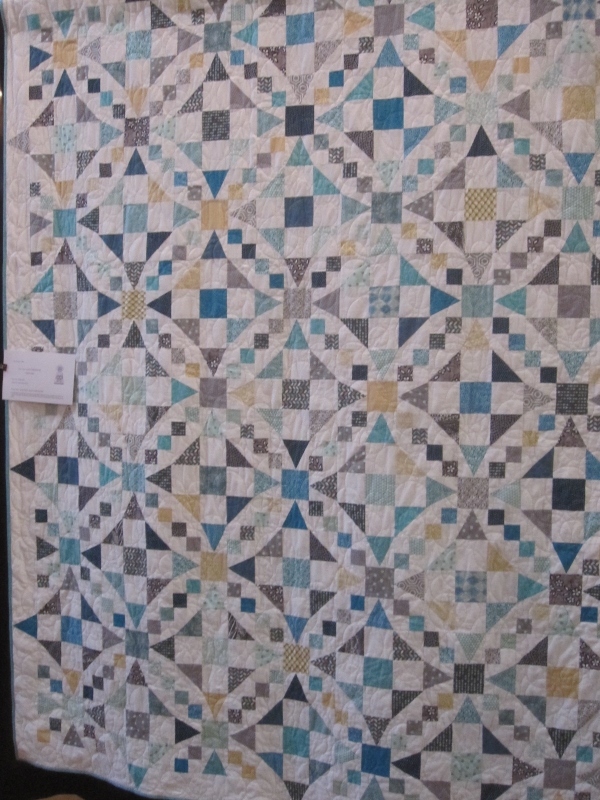 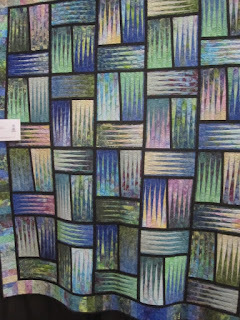 I liked this two colour quilt. 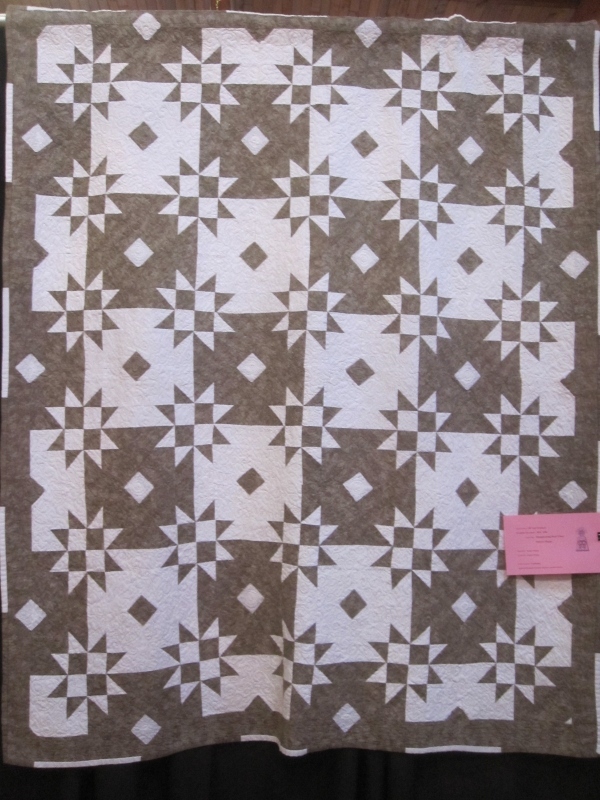 The taupe is not something you see often. 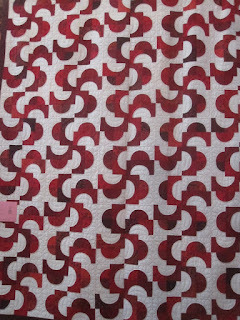 That's it for today, I'll post more tomorrow. 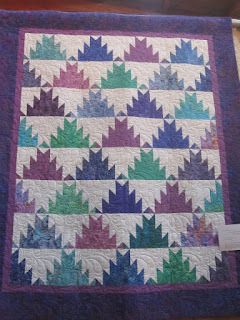 those trees, stunning, but my favourite, tapered strips with black sashings. 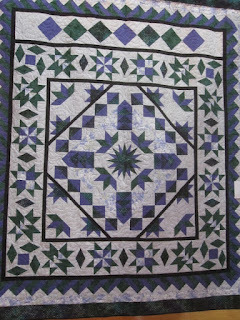 Eye candy for quiltmakers! 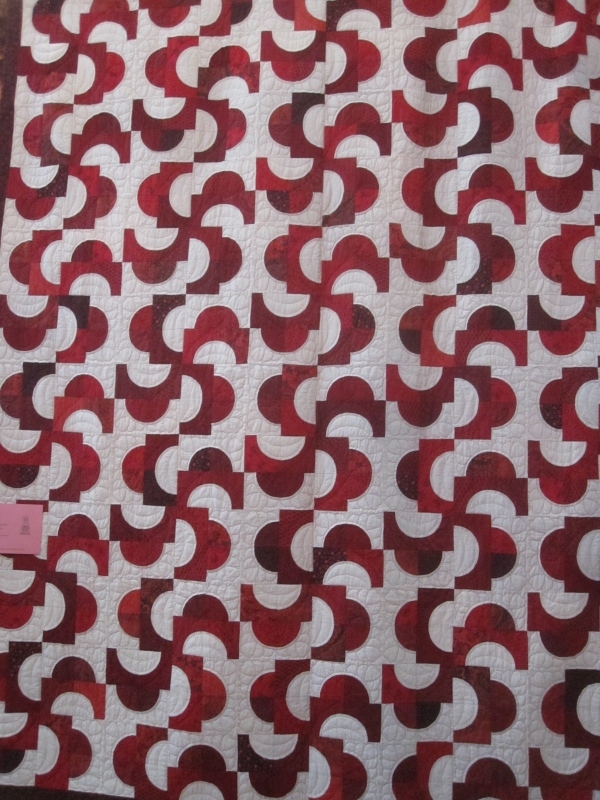 Thanks, Dolores. 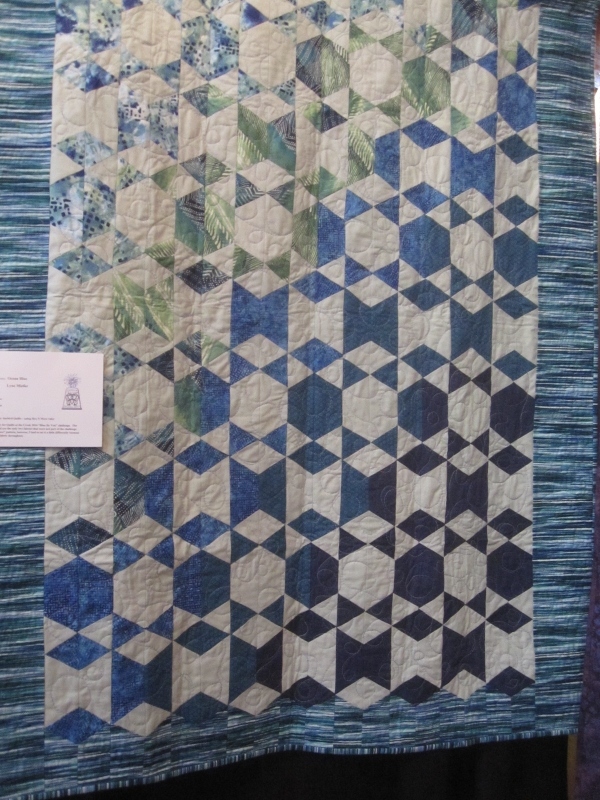 I like the blue, green and white quilt with what looks like crowns around the diamond, and the guild mystery quilts. 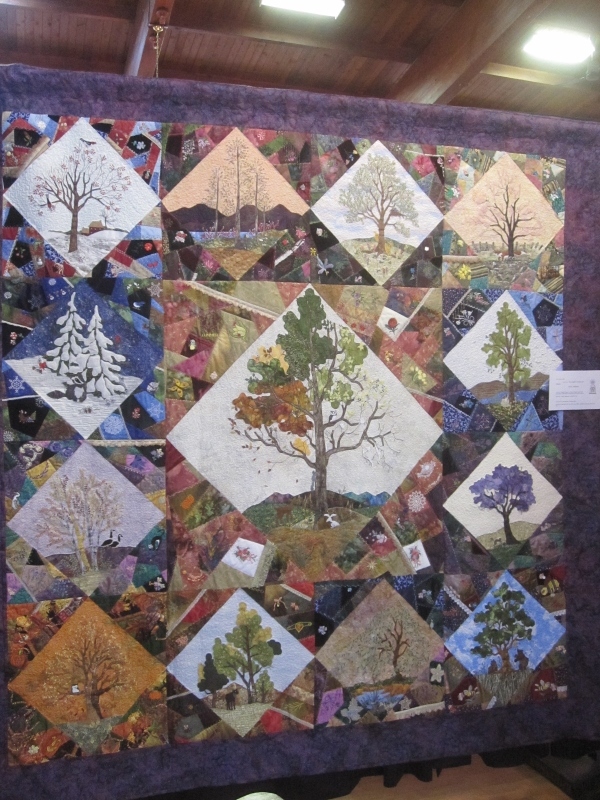 The tree quilt is a beauty. 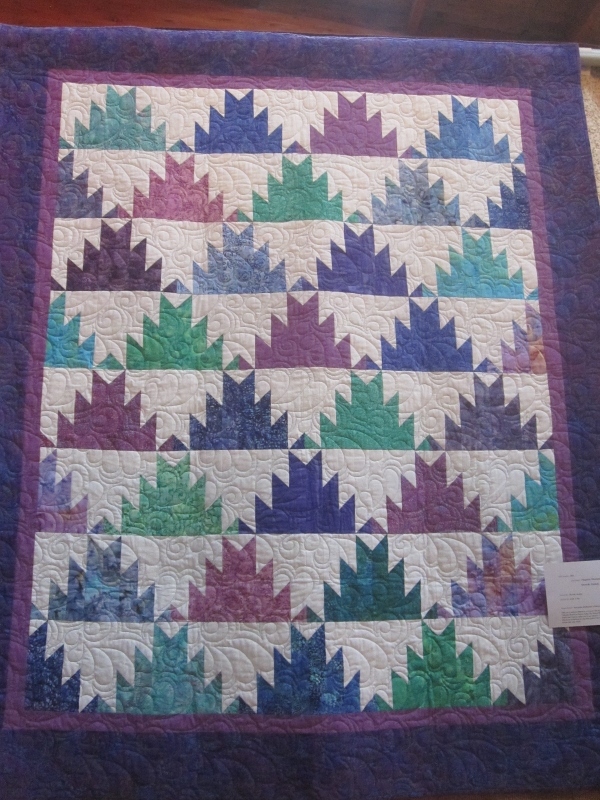 I have the Piecemakers pattern and have lofty dreams of one day making it. 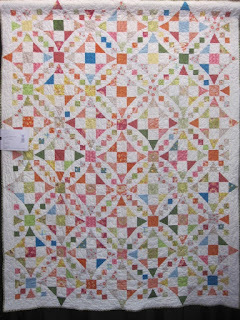 Enjoyed your quilt show once again Dolores - thank you.